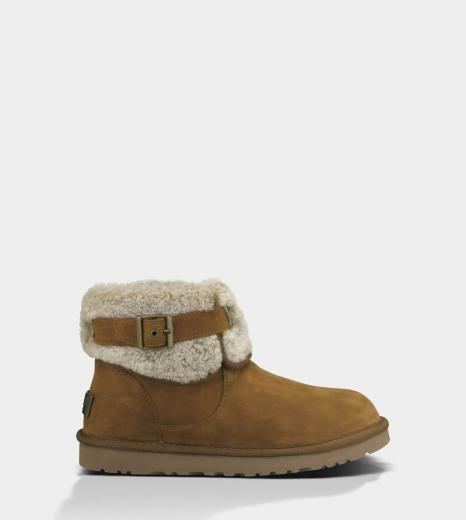 From the Everest collection by UGG® Australia the Jocelin features the signature comfort of UGG® with enhanced collection defining details like the exposed sheepskin snowtop accents. With cushy foam insoles for extra comfort and a sheepskin sock to wick away moisture and keep feet warm and dry coupled with an outsole lightweight and flexible molded EVA with patent protected outsole tread design this is bound to be a popular addition to the UGG® range. Ankle height boot with fixed sheepskin collar and adjustable strap.